One of the best parts about bullets journaling is that your bullet journal can take whatever shape you need it to. As you become comfortable your bullet journal, you’ll probably find that your journal begins to look nothing like the complex and artistic spreads posted on social media (in fact, minimalist bullet journaling is an entire genre of bullet journaling that bucks this trend). Whether you use a traditional format for bullet journaling or a minimalist format, you’ll probably find yourself re-creating the same basic layouts over and over – in fact, I think this is a key to success in a bullet journal: finding layouts that work for you and replicating them throughout your journal. If you found this post, you likely already find yourself here: replicating layouts over and over by longhand copying. In this post, I’ll be showing you a simple method for creating a layout stencil. To some this may seem like an obvious path towards quickly reproducing pages you love to use in your bullet journal, but I hope for some this will be a new idea, and one that can help your bullet journal work harder for you. In this case, I’m setting up a template for a travel journal layout in my bullet journal. When I need to reproduce a page multiple times, I use tracing paper to transfer my design onto card stock or plastic template material. By creating a template, I can quickly reproduce similar layouts for different pages. To create visual interest on your pages even when you are adding the same information and type of content, you can create variations on the layout– such as having stencils marked “TRAVEL-A,” “TRAVEL-B,” etc. 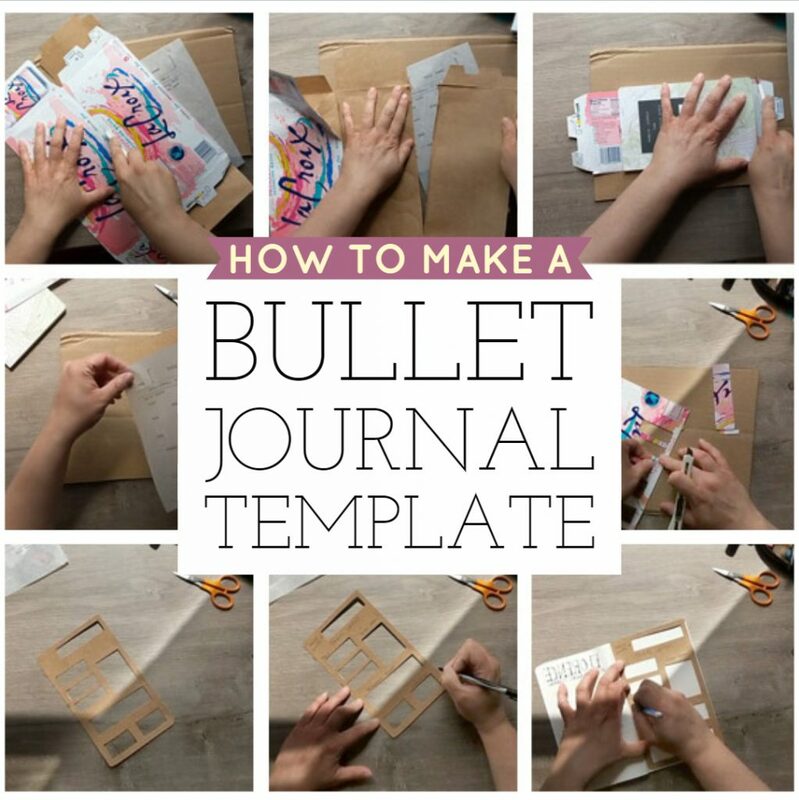 Preplanning a bullet journal with a template is especially helpful when it comes to seasons in which you know that you will be busy and suspect your journal might be put on the back burner if it isn’t easy and ready-to-go. For example, academic spreads at the beginning of the school year or this travel journal spread. Creating pages in advance (or even just creating softly penciled guides onto pages) is a time-saving shortcut for easily making your bullet journal look great. First, I cut a panel sized to the average bullet journal page – about 5″ x 8″. I usually do this by getting myself a workable, section of cardboard, and then laying either a page from my journal or the entire journal on top and cutting around the shape of the journal. Next, I line up my page on top of the cardboard. Typically, I do not use the original page – but a version that I have traced onto a disposable sheet of paper. This keeps the original in my journal and looking great rather than being sacrificed for the creation of a template. Carefully, and working on top of a protected surface, such as a sheet of corrugated cardboard. Use a craft knife or X-Acto blade to cut out sections for text boxes. …and you’ll have a functional template that is ready to use. To get perfectly straight edges, you can use graph paper or straighten your template by scanning and adding geometrically perfect shapes to it before printing. I find it helpful to label my homemade bullet journal templates with a sharpie, so I remember how I’ve used the template in the past. With a finished template, it’s easy to replicate your favorite layouts without needing to measure or plot out the page. I love this idea! What a fun group activity!